In a sad and sometimes dark narrative, Bronwyn Morgan Sengupta takes the reader into her heart and mind as she unravels the tragic story of her life. She is a promising young woman, pampered, spoiled and barely out of her teens, when she meets and falls in love with Ronobir, a sophisticated and elegant man like no one she has ever known. After a whirlwind courtship and wedding, they travel to Calcutta where he has a good job as well as a family. The young couple have every intention of being loyal and faithful to each other. However, neither of them anticipates the problems they will face, like Ronobir's strong matriarchal ties, domineering personality and family responsibilities. Bronwyn feels stifled living in a "joint family" system, but tries hard to fit the mould of a meek respectful wife. Ronobir struggles with her strong will and independent spirit and realizes that, along with depriving his mother of the privilege of choosing his bride, he has perhaps made the wrong choice. Sadly, he also turns into an alcoholic, becoming abusive and violent trying to maintain control, instilling fear and anxiety into his family. The relationship turns into a hurdy gurdy, spinning them around-up one day and down the next as they are locked into a space between two cultures, ethnicities and unsolved differences. J. Chloe Braun has been writing articles and short stories for publication most of her life. She and her family spent 12 years working as missionaries in Asia. Ms. Braun worked with underprivileged women and children, educating them in simple Christian values encouraging them to dream lofty dreams and reach out for unreached heights, whilst not upsetting their cultural norms. She also taught English and Journalism at a school for deacons. 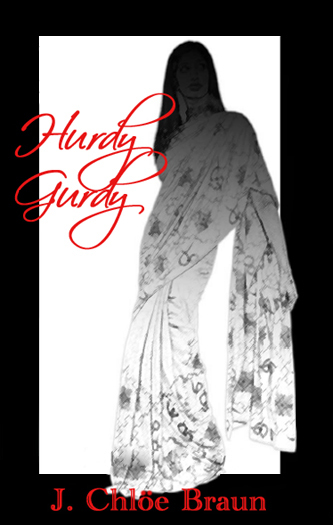 From her journals and memories comes Hurdy Gurdy a story of one brave woman's escape from spousal abuse. 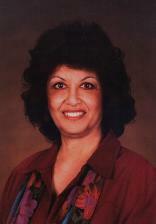 Ms. Braun is currently working on another novel about growing up in India and the vanishing Anglo Indian community. She lives in the U.S. with her family. Published by Publish America www.PublishAmerica.com and also available at on-line bookstores such as Amazon.com and Barnes and Noble. Price US$16.95 (through PublishAmerica.com); retails at US$19.95. Or visit Jennifer (Chloe) Braun's website at www.jchloebraun.com for more information.